"He always was a cocky little son of a gun"
Jarvis is a short knight, and this is a short DMOD. It seems like my writeups have been getting shorter lately, too. Anyway, I liked "A Knight's Tale." Zee you nezz time!! "Can't I have a good vacation with no more 'Getting lost' crap?" I was kind of disappointed that you don't play as a pillbug in this one. I mean, that's what I assumed from the title. I can't say it doesn't deliver on pillbugs, though. They are everywhere in this DMOD. Pillbugs that line up and charge you in formation, polite pillbug townsfolk, a big good king pillbug, a big evil pillbug. Everywhere. "LOTP" feels weird because, among other reasons, it's incredibly linear. If you're familiar with my DMODs, you might be sneering right now, "like Zink? Or even Malachi?" But no, it's even more linear than that. It's basically like being in line for something and walking along the neatly zigzagging, roped-off paths. 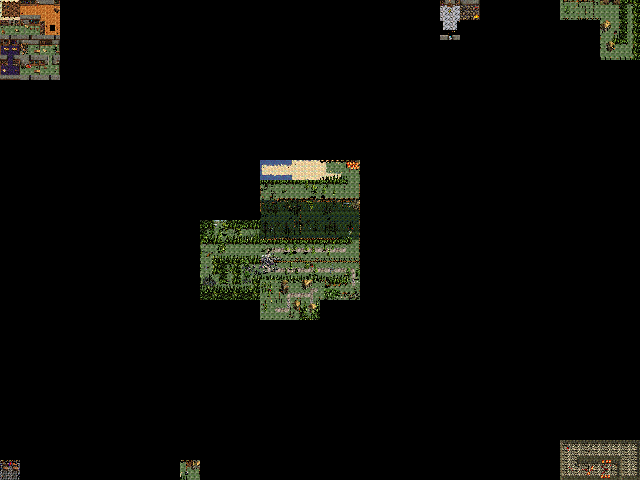 It's so distinct that you can sort of see what I mean just from looking at the minimap. There are a couple of places where you can divert very slightly for a powerup or two, but aside from that, it feels like you're being led along past a video game, rather than playing one. You know, like Final Fantasy XIII, but with a slightly less stupid plot and an actual combat system. 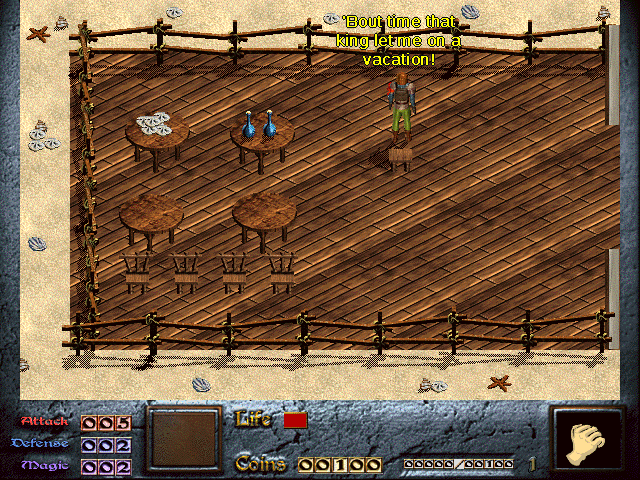 After the original game, Mystery Island and judging from a certain comment, Dink's Doppelganger (wonder how THAT worked out), Dink is vacationing in a very nice beach house with a deck and everything. Dink goes out to have a good time on the beach, which naturally causes the house to catch fire immediately. 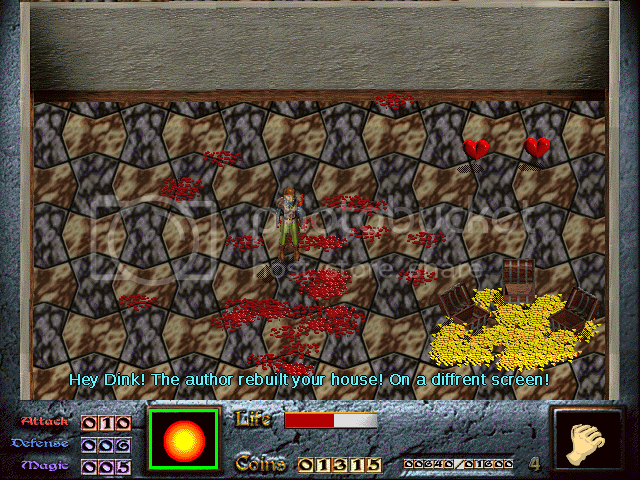 Y'know Dink, I'm amazed you aren't suspected of arson by now. There's a point at which it can't be a coincidence anymore. 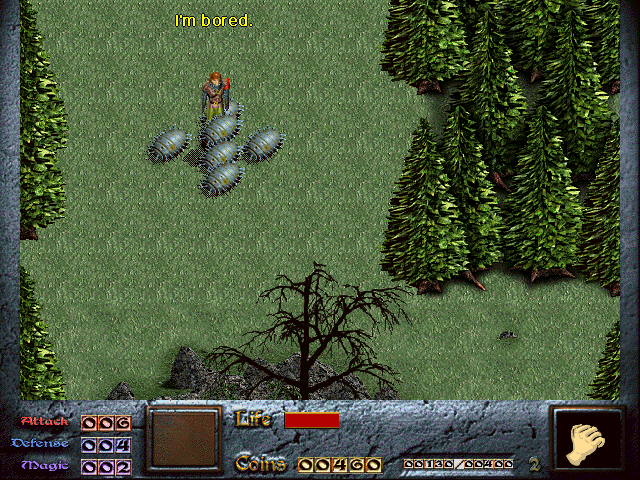 This event causes Dink to meander along The Path, upon which he eventually meets and slays a legendarily evil pillbug. For this, the author rewards him by building another house. Yay! There's a lot of other weirdness going on, like the fact that enemy groupings (and grouping of other things, like ducks) always seem to start clustered in one spot and spread out in a star-like pattern. There's one screen where pillbugs are placed, but not scripted. On that note, when I got to the King Pill, he wouldn't talk at all. The whole experience was kind of awkward and strange. It did have an odd charm at times (why is the savebot a pirate?) It wasn't terrible, but it certainly wasn't good. "Hey, I thought you were from Saudi Arabia... Why do you have a French accent?" Half-Life Counter-Strike is an FPS game by Valve in which you fight terrorists. 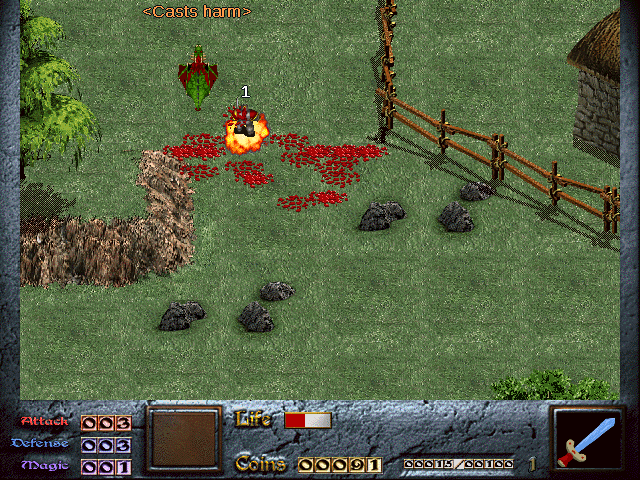 'Capture the Flag' is a popular multiplayer mode in FPS games. That's about all I know, never having played Counter-Strike or indeed, any FPS that came out after Quake II. Therefore, I was sad that the text "I'm a n00b, help me" on the title screen was not a button. You'd think that it would be, and I wasted several seconds repeatedly clicking it in the mad belief that it would suddenly become one, but it isn't. Since it's not a button, I can only conclude that the text is a plea from the title screen itself. Sorry, title screen; no help is coming for you, no matter how n00bish you might be. There might not be much gameplay, but I was surprised and very amused by the amount of effort put into this little demo. You have two guns and can fight guys who are presumably evil terrorists. The original graphic for these guys is MS Paintesque, but it looks okay in context - it's out of "Bloop the Fish's" league, at any rate. There's a neat, functional map to make your simple task even easier. Oddly, this is an item, and is not brought up using the map button. The bad guys will indeed shoot back, thanks to Dan Walma's original Enemy Shoot script. Nearly all of the text in the DMOD is voice acted by the author, which is a first. The acting isn't great, of course, and the sound quality is poor, but he does deliver the lines with confidence and a clear self-amusement that added to the experience for me. Like I said, there isn't much gameplay. 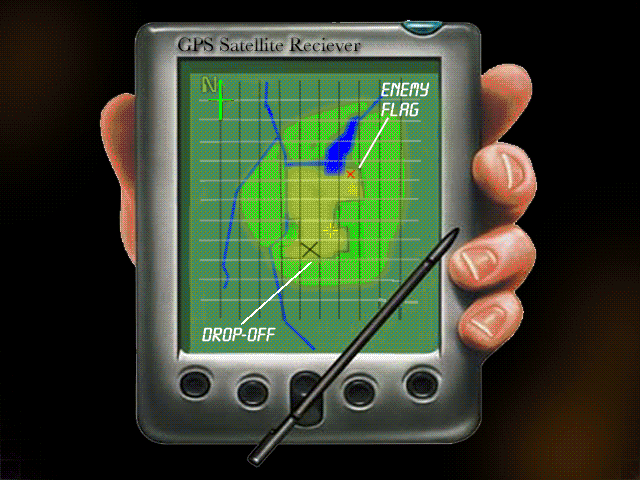 You brave the terrorists and pillbugs, capture the flag (which doesn't disappear nearly as soon as it ought to), and return to the drop point, where you'll fight Osama Bin Laden. You have a silly, voiced conversation with him. I guess the author was a Sixers fan? There's also a joke about the mod having a "low budget." I would like to see the budget sheet for this DMOD, I really would. The game could have been improved by making you actually fight the terrorists. Leveling up increases your armor and ammo capacity, and you can buy more ammo from a "black market dealer," but you're better off ignoring it. As it is, I was able on my second try to run straight for the flag, take it, run straight back, and defeat Osama, although I did use up nearly all of my ammo. Nevertheless, I had fun. 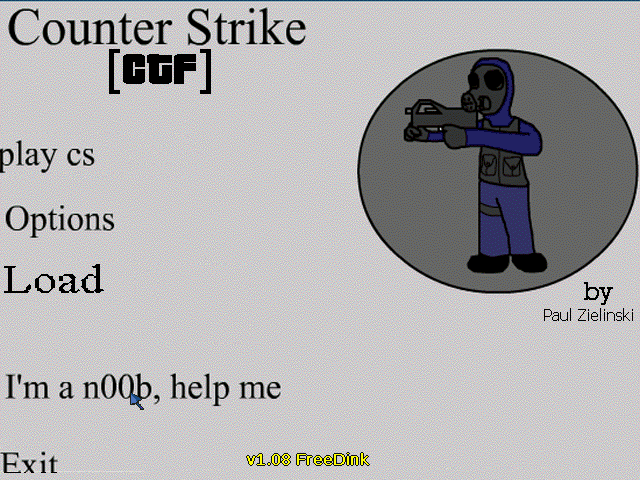 "Counterstrike CTF" doesn't take itself too seriously. 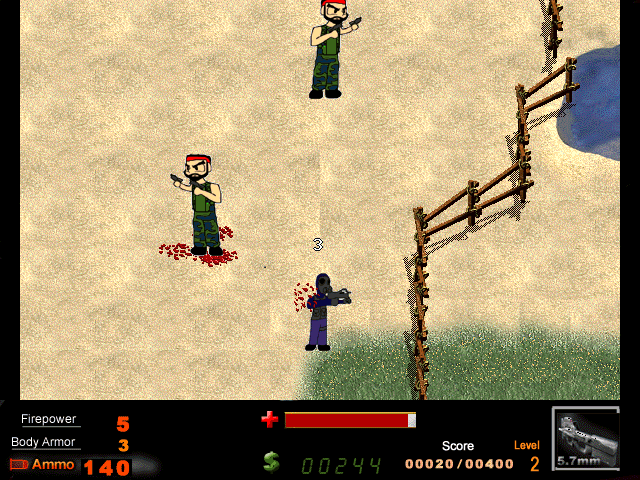 The graphics and voices are very amusing, it's fun to have guns in a DMOD, and the music is really catchy. I could tell the author had fun making it, and for something really short, that can be enough. All right! See you next time for the Alternative Hero Contest! Oh, FINE. We'll do it over, then. I guess I could make it a little longer. "The innkeeper stinks of Rum, and looks very generic indeed..."
Jarvis is a short knight, and this is a short DMOD. 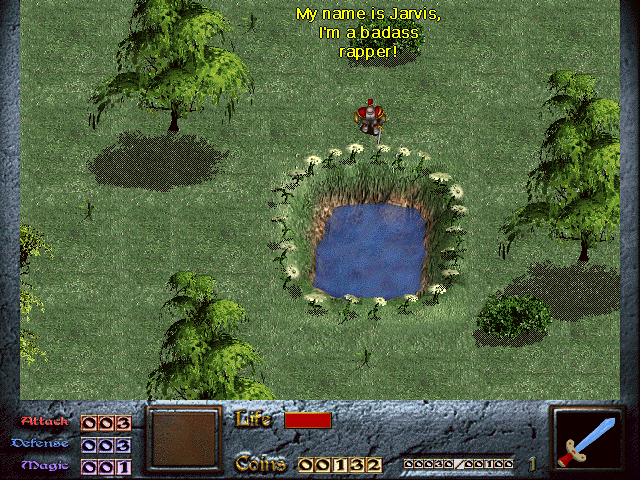 Jarvis is short because he's been imported from Warcraft II, which is pretty much a DMOD tradition at this point. The DMOD is short because it was made in three days. As for my writeups, they are short because I am a lazy, lazy man. 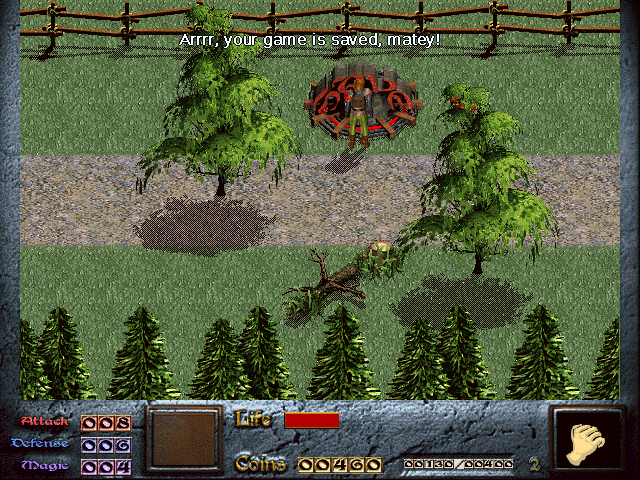 Jarvis the Warcraft II knight is brought out of suspended animation to defeat a big stone giant. He's not the only imported graphic; there's also this dragon and a troll, both from the same game as Jarvis. The main "puzzle," simple as it is, involves singing songs at a lake until you happen upon the correct one to summon the Lady of the Lake (or "Pondlady") and receive Excalibur. The songs are fun to see, and there's a "secret" song as well, although it's very easy to find it by accident. The only other things to do are to find a little defense boost and head for the boss. There are a lot of little problems that I could pick at in this DMOD. The dragon stutters a little bit, and there are several really bad-looking tiling errors throughout this mod that would be easy to fix. There's a defense potion that doesn't work, which annoys the hell out of me. The scripting is kind of messy, frequently failing to freeze Jarvis at the right time so that events can happen in places they're not supposed to. Finally, the boss's hitbox is frankly a mystery. Still, you can call me a fan of this one. It's a breezy, fun romp with a relaxed, kind of sarcastic tone that I enjoyed very much. The balancing of the monsters was done exceedingly well, and the boss was not too easy or too hard. I look forward to further adventures of Jarvis the Knight.